does Vitamin A help you in other, less well-known ways? helped to cure night blindness. But Vitamin A does more than help you see in the dark. Vitamin A maintains healthy skin. Vitamin A helps form bone and teeth. Vitamin A also plays a part in effective fat storage. Vitamin A aids the digestive and urinary system. their diets, the learning impairment was reversed. Vitamin A deficiency is rare in the developed world. increase the risk of developing a deficiency. road after the glare of car headlights. important to keep an eye on your intake. and fatty tissues when it doesn’t immediately need it. can also get your liver dose in pâtés and spreads. egg’s total Vitamin A provision. which is skimmed off when producing these low fat versions. when you eat certain vegetables and fruits. vegetables they wouldn’t reach the optimum levels required. Vitamin A is lost in the frying pan. Vitamin A intake with brightly-hued yellow and orange fruits. soak fruits in too much water as this can destroy Vitamin A.
can can push you over the safe limit for retinol. meals. Check the packaging to make sure. value of Vitamin A in an 8 ounce serving. 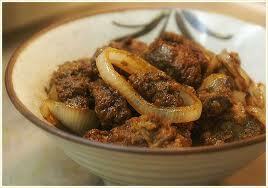 Liver is a food rich in Vitamin A.